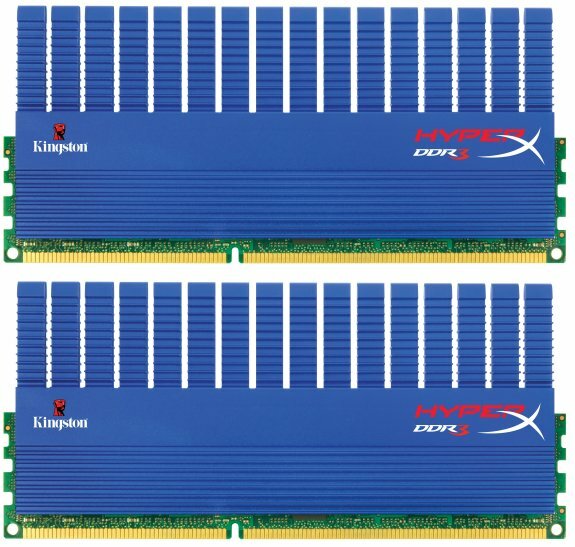 Kingston introduces a new line of HyperX DDR3 dual-channel memory kits, with the fastest model offering a clockspeed of 2666MHz. Kingston Technology Company, Inc., the independent world leader in memory products, today announced it is shipping HyperX® dual-channel kits engineered especially for the new Intel® third-generation Core™ i7 and i5 processors (Ivy Bridge). Kingston® HyperX memory is available in 16GB and 8GB kits of two at 1600MHz, 2133MHz, 2400MHz and soon to be speedy 2666MHz frequencies. Kingston HyperX memory is available through Kingston's channel of authorized distributors, resellers, e-tailers and retailers. It is backed by a lifetime warranty and free technical support.